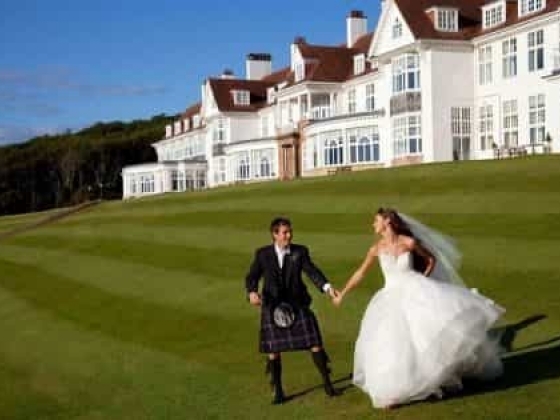 On a day when you need everything to be perfect, Trump Turnberry is just that – the perfect wedding venue. A dream in red and white, with lush green grass and slate blue seas. 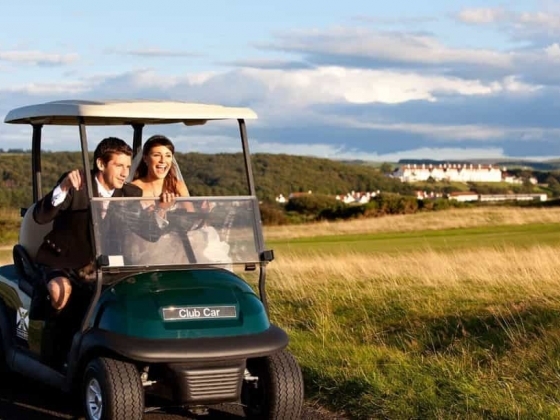 At Trump Turnberry, we will arrange the wedding you've always dreamed of. 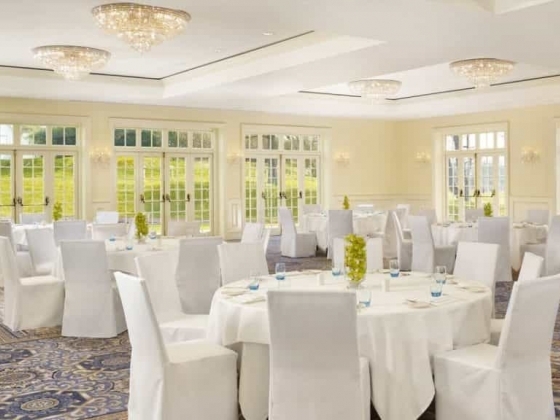 We can accommodate magnificent, formal affairs of up to 200 guests and warm family gatherings alike. From your first enquiry to the last note of the last dance, our committed event planner will take care of everything. All you need to do is enjoy the most beautiful day of your life. 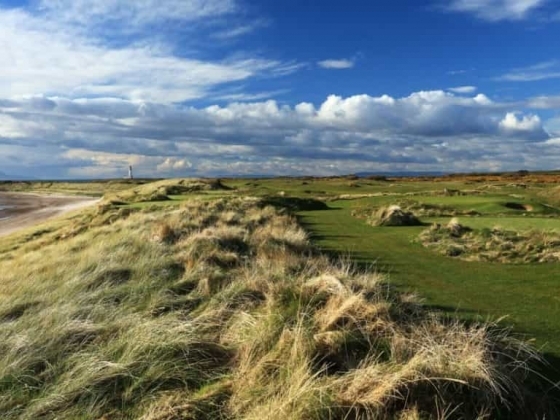 Following a multi-million pound investment and renovation by the much-acclaimed interior designer Mary Fox Linton, Trump Turnberry offers guests sophisticated accommodation, world class golf, revitalising spa treatments and thrilling outdoor pursuits in a truly beautiful 800-acre estate. 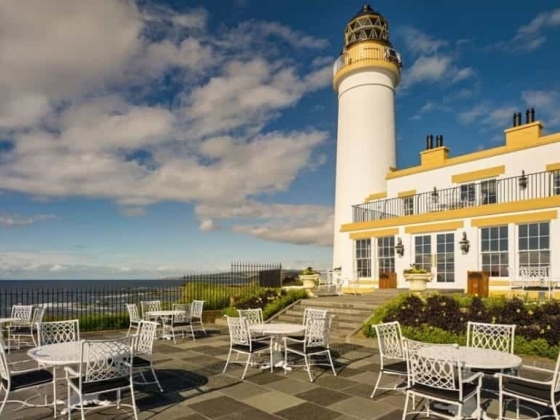 Ideally located on Scotland's picturesque Ayrshire coast, Trump Turnberry is the newest addition to The Luxury Collection, a glittering ensemble of the world's finest hotels and resorts. 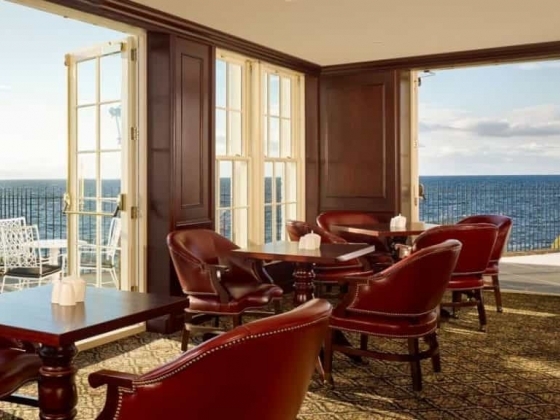 The 5 red star Trump Turnberry Resort offers a sparkling choice of 207 rooms, from the elegant Classic to the Deluxe Ocean View Rooms and unforgettable Suites. 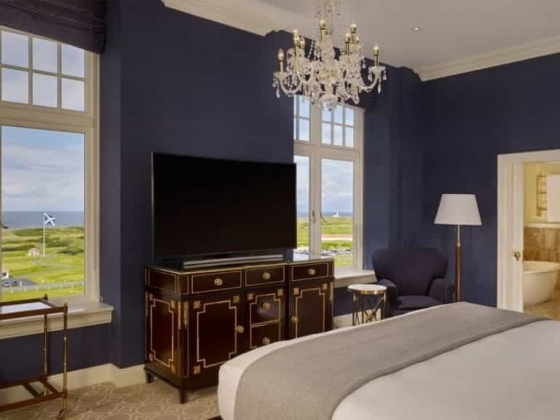 Much of Trump Turnberry's guest accommodation has been recently renovated and offers illuminating views over the famous links golf courses to the sea beyond. 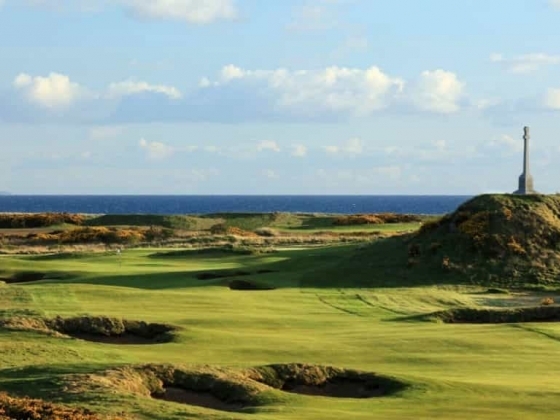 Effused with a timeless quality, Trump Turnberry offers a comfortable and relaxing atmosphere all year round. Every room and suite offer a calming environment in which you can spend hour after hour in perfect harmony with your surroundings. 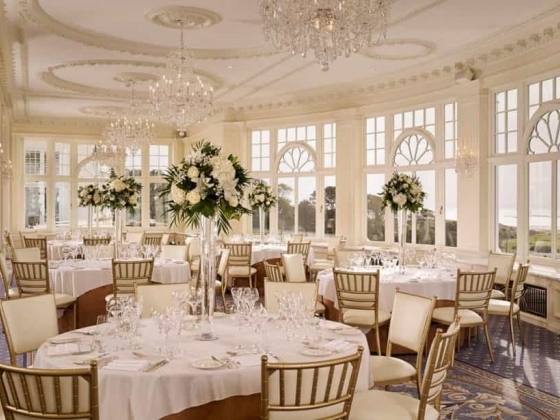 As one of The Luxury Collection's iconic hotels, Trump Turnberry is delighted to offer a range of Signature Services. These include afternoon turndown service of your room and a dedicated guest services team. Plush bathrobes and comfortable slippers will keep guests beautifully cocooned. 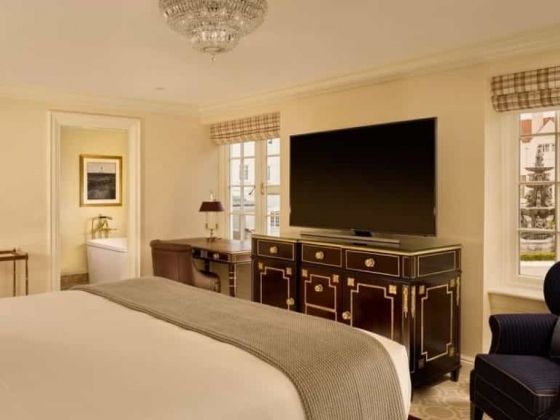 With 24-hour room service, a fully stocked mini-bar and video on demand, everything is on hand to make you and your guest's stay both relaxing and memorable. 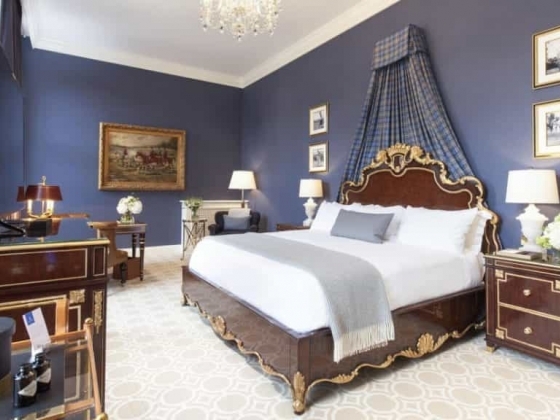 Accommodation: Trump Turnberry, a Luxury Collection Resort, Scotland is a truly magnificent destination, located on the breathtaking Ayrshire coast. 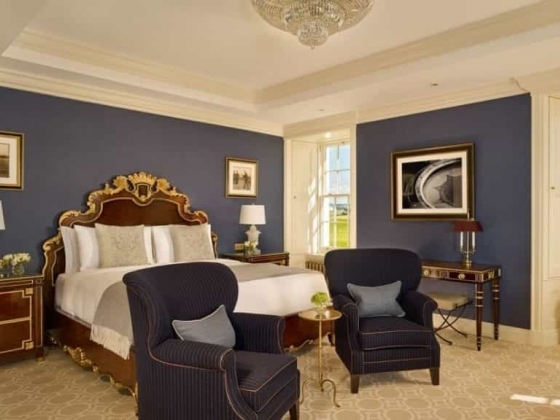 Following a recent multi-million refurbishment, Trump Turnberry offers lavish bedroom accommodation. 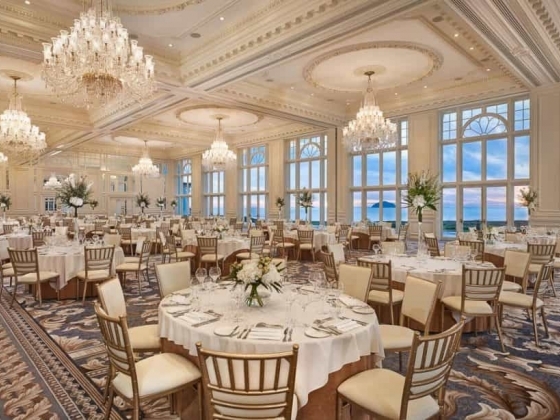 Dining Options: Have the wedding you’ve always dreamed of at Trump Turnberry, with two exceptional wedding celebration packages priced from £120 per person. 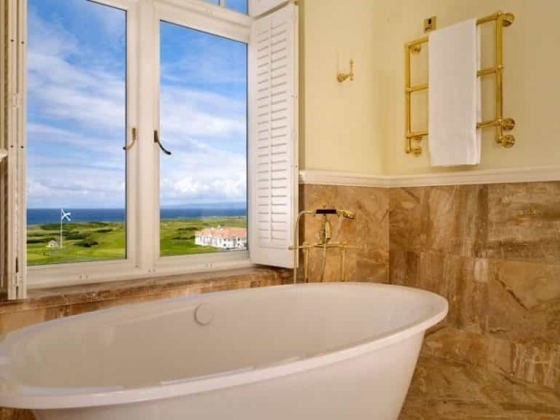 Spa A restful haven with beautiful views over the Irish Sea The Spa at Turnberry provides the ideal place to relax and revitalise.